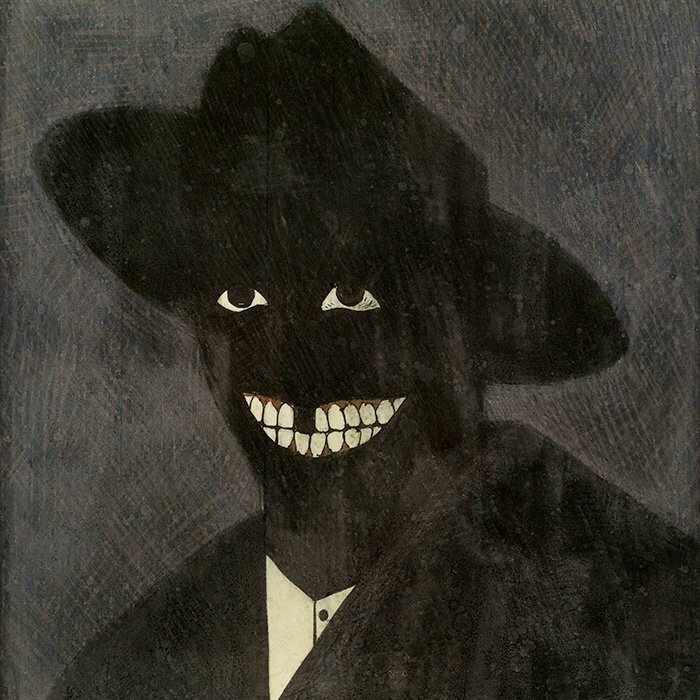 Carbon black, mars black, ivory black: these are the types of black Kerry James Marshall uses to color all of the people who have populated his paintings since 1980, when he painted a face so overwhelmingly black that only its white eyes, teeth, and a hint of shirt were visible against the darkness, and titled the work A Portrait of the Artist as a Shadow of His Former Self. 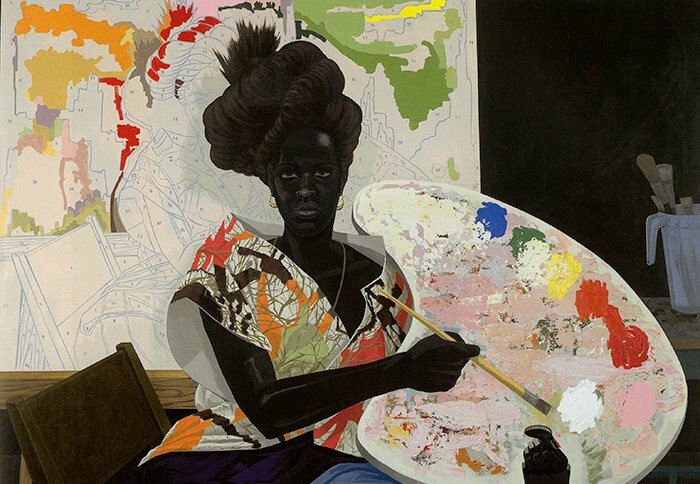 Marshall has become an internationally renowned artist with his often large-scale paintings of African Americans that simultaneously reference Western art history and address the blinding-white absence of black figures within that history. Marshall is “singlehandedly committed to course-correcting that absence,” Madeleine Grynsztejn, the director of the Museum of Contemporary Art Chicago, said in a 2016 Chicago Tonight story about the first major retrospective of Marshall’s work. 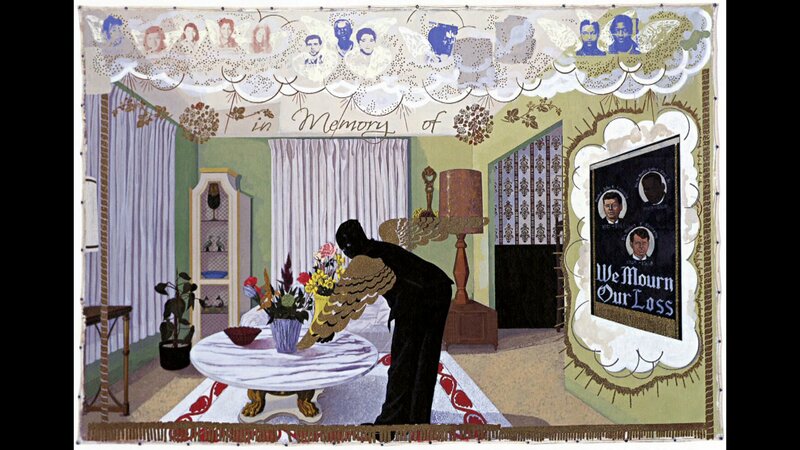 That exhibit, entitled Kerry James Marshall: Mastry, signaled Marshall’s canonization as one of the greats of American art: it began at the MCA then traveled to two more prestigious institutions, New York’s Met Breuer and Los Angeles’s Museum of Contemporary Art. 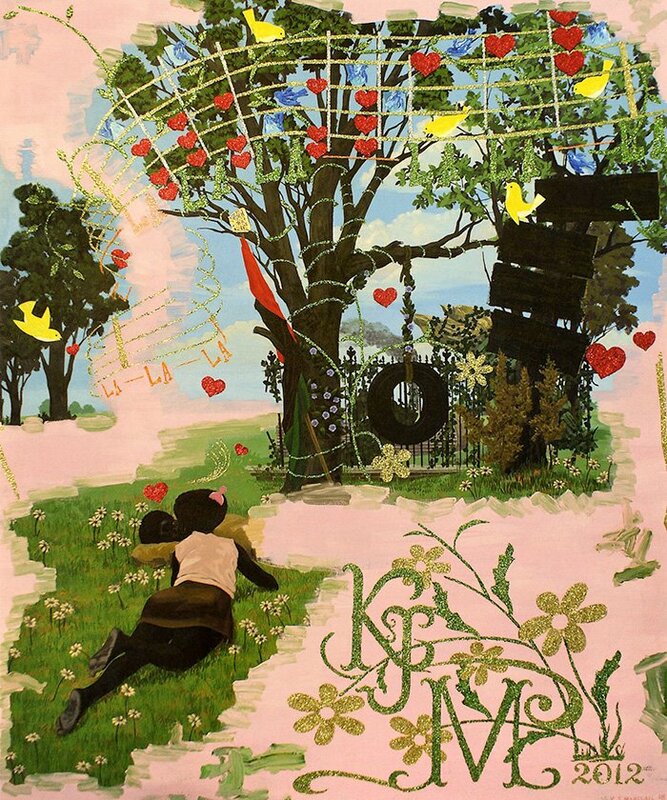 The Smithsonian, the National Gallery of Art, the Art Institute of Chicago, and the Metropolitan Museum of Art all hold work by him in their permanent collections. Marshall was born in Birmingham, Alabama in 1955 and grew up in the Los Angeles neighborhoods of Watts and South Central, where he often found himself adjacent to violence, including the Watts riots. At age 13 a teacher nominated him to take a summer drawing course at the Otis Art Institute in Los Angeles; he later graduated from there, the first member of his family to attend college. He moved to Chicago in 1987, and continues to work and live in Bronzeville to this day. Watch a Chicago Tonight profile of Marshall from 2009 in which he explains why he has remained in Bronzeville. There has been plenty of money to entice Marshall away from the neighborhood. 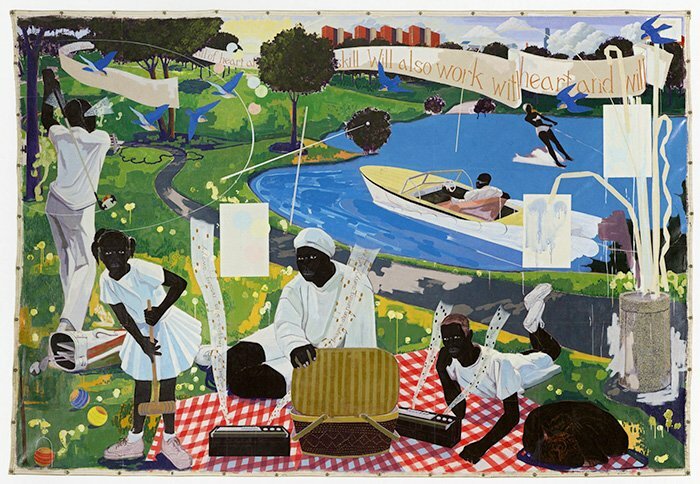 He was awarded a MacArthur “genius” grant in 1997, and the prices of his works continue to climb: Sean Combs bought Marshall’s painting Past Times for $21.1 million in 2018. Chicago’s Metropolitan Pier and Exposition Authority sold Past Times to help maintain McCormick Place, where it had been held since 1997, and the city announced in October of 2018 that they will auction off Knowledge & Wonder, a 1995 mural located at West Garfield Park’s Legler Branch Library, in order to make Legler a regional library for the city’s West Side. But Marshall’s latest work for Chicago, a 132 by 100-foot mural on the west façade of the Cultural Center celebrating twenty women who have shaped the cultural landscape of Chicago, from Oprah to Gwendolyn Brooks to Sandra Cisneros, was a lot cheaper: he billed the city $1. And the city is richer for it, both culturally and financially.